This past Monday and Tuesday, the International Culinary Center in NYC and Illy Caffe held the first class of Coffee Expert: From Plant to Cup, a class aiming to educate both "devoted coffee lovers and industry professionals" on the ways and correct techniques of serving superior coffee. Looking at who was putting on the class, it seemed that the hosts possessed some strong credentials; the International Culinary Center holds a strong culinary reputation and Illy Coffee, though a large producer of what I would interpret as sub-par coffee (pre-ground and coffee pods), has a strong legacy of quality and a strong claim to the form of espresso as we know it today. So when an invitation to attend landed in my inbox, I decided to clear my schedule and experience the class. 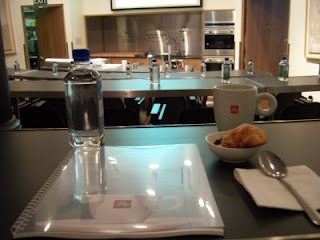 I arrived Monday morning to a small lecture hall in the ICC, complete with two large La Cimbali espresso machines (Illy customized) and a large host of people ranging from local cafe owners to coffee enthusiasts. The main instructor was Moreno Faina, a formal professor of Universita del Caffe', the backbone of the class. The other instructors were Giorgio Milos, a well-seasoned barista who has claimed many awards, and three ICC instructors: Chef Candy Argondizza, Karin Endy and Alexis Kahn. The class went much the same both days; lecture and coffee tasting throughout the day and the last two hours of both days were focused on letting the participants try their hands at making quality espresso and cappuccinos. Lunch was also provided. - Illy really seems to know their stuff when it comes to history, technique, and processes. I would have to say I learned a few things about espresso machines, barista skills and agriculture. - Giorgio demonstrated amazing barista wisdom and skills. I learned most from the basic tips and wisdom he offered as well as his outstanding performance. - Lunch was amazing both days. - The coffee tastings were a great introductory excercise for those not accustomed to looking for detailed characteristics in their coffee (I found it a welcome refresher). - While the presenters really knew their stuff, they hailed the Illy espresso pods and pre-ground coffee as acceptable practices in a business. Yes I know that Illy is a business that needs to make money and of course they recommended fresh ground coffee and manual espresso machines as better, but recommending low quality products as acceptable is never acceptable. - Illy is obsessed with blending and the importance of blending coffee for espresso became a point all too emphasized. Sure blending for espresso is a tried and true means of producing consistent espresso, but single origin espresso holds great potential (not to mention sway!). - The coffee background was extensive yet also a little shallow in my opinion. Granted I've studied my coffee textbooks, but I feel that for an introductory course there were some things that could have been trimmed down and other things that could have been expounded. - The session seemed too specific to Illy culture, as there was little American coffee wisdom in the session. What I mean by that is that the session focused on what Illy holds as acceptable and while Illy shares a good deal of overlap into the American coffee scene, there are some differences, which most of the session attendees will encounter. I feel that if they pulled in a non-Illy guru (preferably a true coffee expert with minimal corporate ties), the class would be much more well-rounded. - To follow the last point, the Illy influence was overall too much. There were marketing gimmicks left and right, there were account representatives and a lot of the information was Illy specific. Subtle marketing would have gone down much smoother. My final word would be that the session was an overall decent experience. I would recommend it for anyone just getting into coffee, a cafe owner/restauranter absolutely sure they want to use Illy as their coffee roaster or someone looking to emulate Italian coffee practices down to the smallest detail. 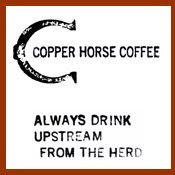 support your local coffee roaster! Great blog bro. I'm sure if there's anyone looking forward to setting up a cafe like you said, coffee shop they should get the best coffee makers by Delonghi. They provide really high end customer service and warranty. Something worth looking into to invest on. 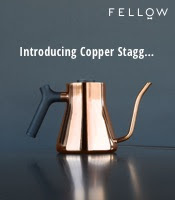 Sounds great for people who are interested in the history and facts about their fave drink.Also peole who are involved with coffee in a professional capacity.